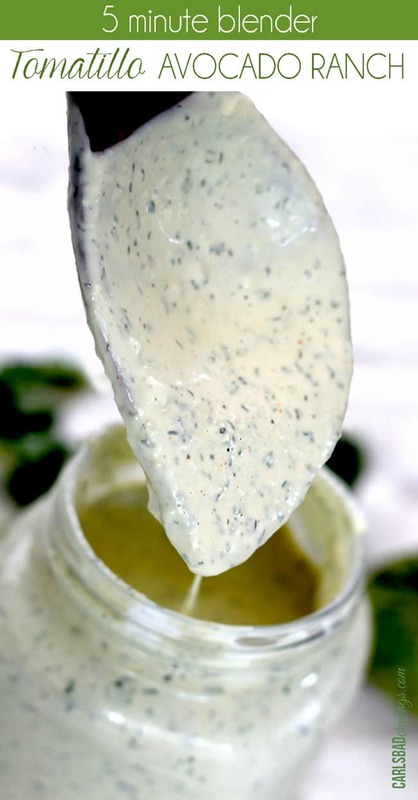 Tomatillo Avocado Ranch Dressing takes just 5 minutes in your blender and is about to become your new addiction – you will want to put it on everything! 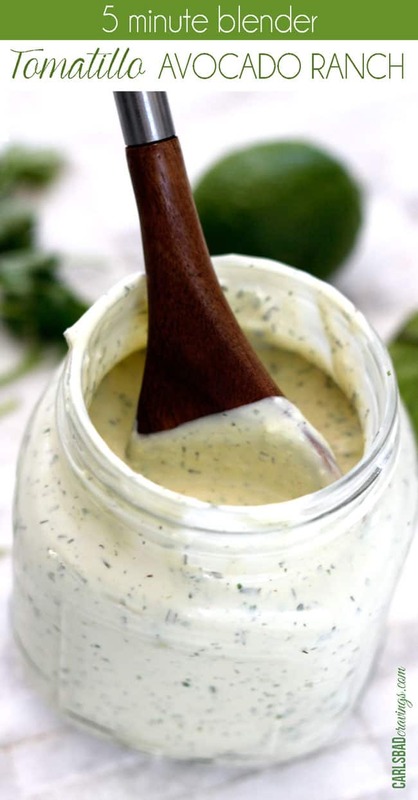 Avocado Ranch Dressing spiked with tomatillos, jalapeno, garlic, cilantro, lime and smoked paprika to create a creamy ranch with a Mexican flair. This Tomatillo Avocado Ranch makes everything better from salads to tacos, to burritos to a dip for quesadillas, empanadas, etc. My actions say I am in love/borderline obsessed with this Tomatillo Avocado Ranch Dressing. In one week I made this dressing twice just so I could feature it (and subsequently consume it) in my Tomatillo Avocado Ranch Smothered Nacho Chicken, Chipotle Sweet Pulled Pork Tacos with Tomatillo Avocado Ranch, Chipotle Sweet Pulled Pork Taco Pizza with Tomatillo Avocado Ranch and BBQ Chipotle Chicken Salad with with Tomatillo Avocado Ranch. Its completely obsess worthy. 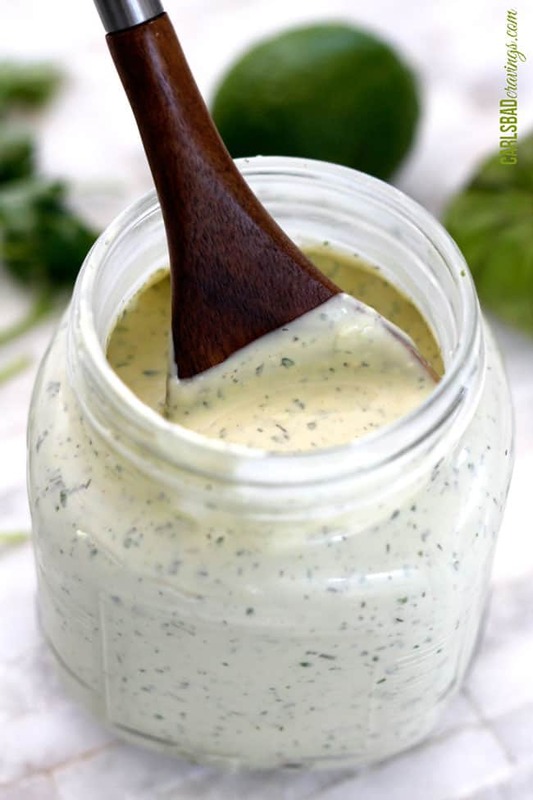 This Avocado Ranch Dressing tastes like creamy, velvety avocado ranch with a Mexican fiesta flair added by the avocado, tomatillo, jalapeno, garlic, cilantro, lime and smoked paprika. Layers of herbs, layers of spice, layers of luscious goodness that I just can’t seem to get enough of. 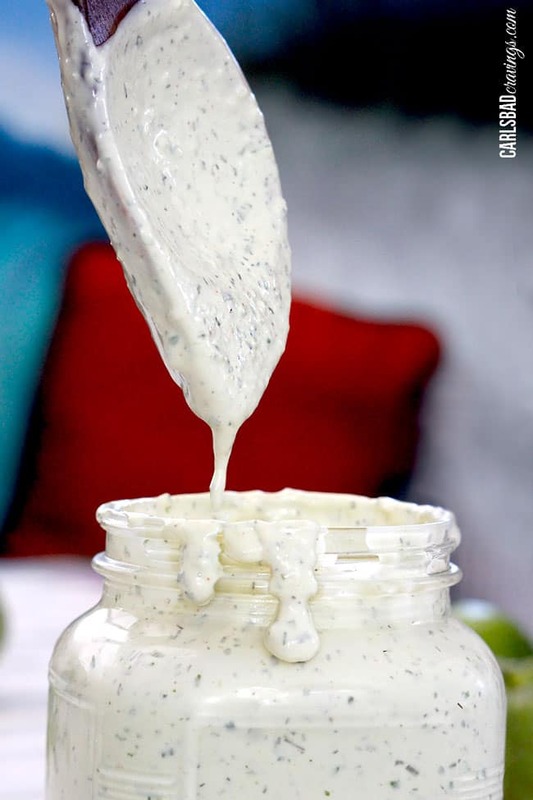 And you have the creamiest, tastiest, want to smother everyingest Tomatillo Avocado Ranch Dressing! I was licking the spoon. Again, actions speak louder than words. So I’m going to stop talking now so you can get into action with your grocery list to create this better than any restaurant creamy Tomatillo Avocado Ranch Dressing. 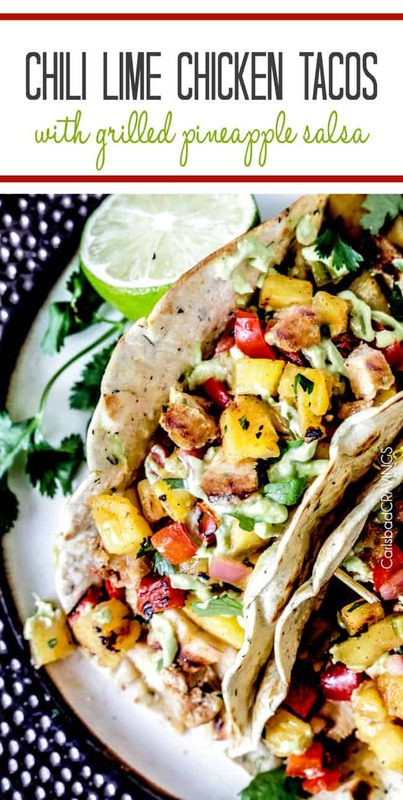 Looking for more Mexican MUST HAVE recipes? 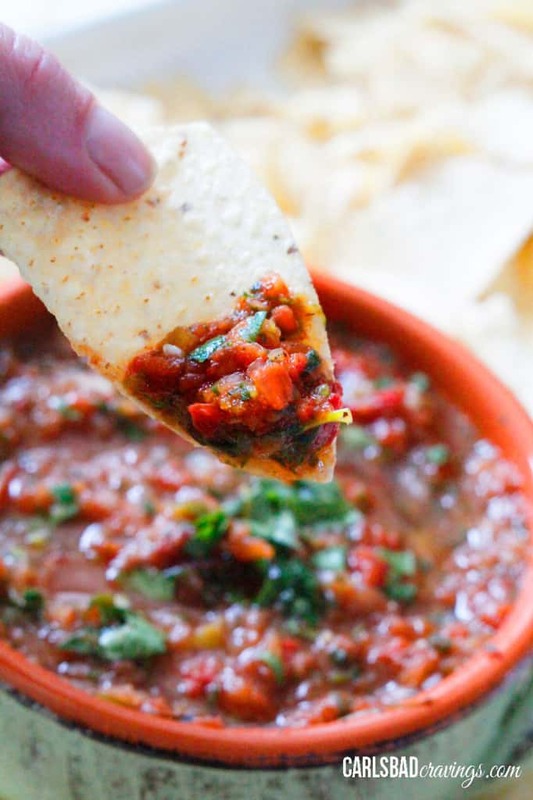 These Mexican staples go with practically every meal! 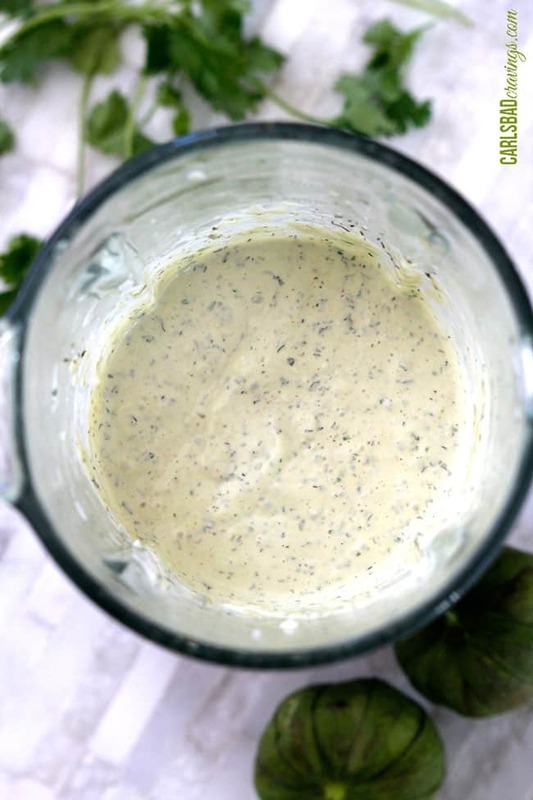 Tomatillo Avocado Ranch Dressing takes just 5 minutes in your blender and is about to become your new addiction - you will want to put it on everything! 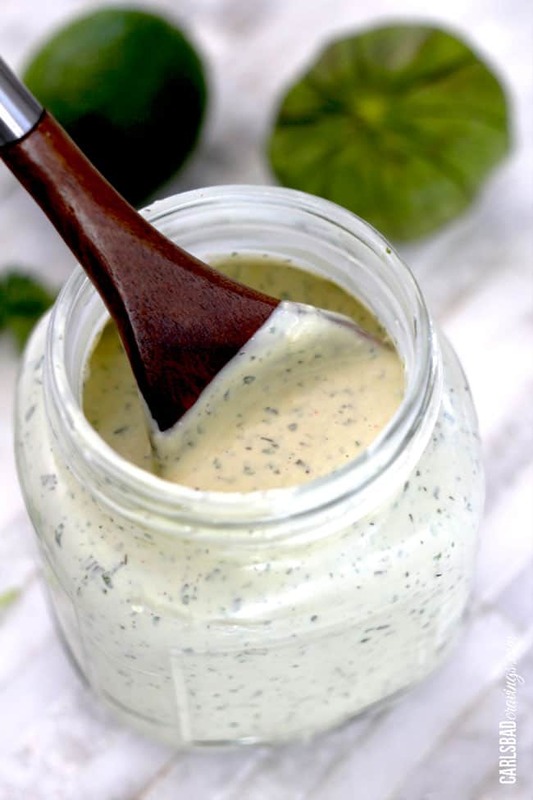 Avocado Ranch Dressing spiked with tomatillos, jalapeno, garlic, cilantro, lime and smoked paprika to create a creamy ranch with a Mexican flair. 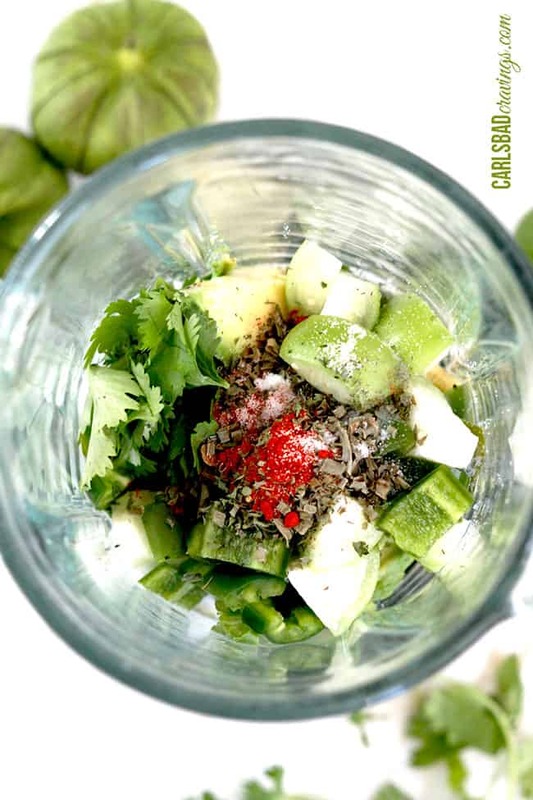 Add all of the ingredients to a blender or food processor and "chop" then puree until smooth, scraping sides down as needed. Add milk, a tablespoon at a time to reach desired consistency. Taste and add additional salt, pepper and/or hot sauce to taste (I always add more salt). 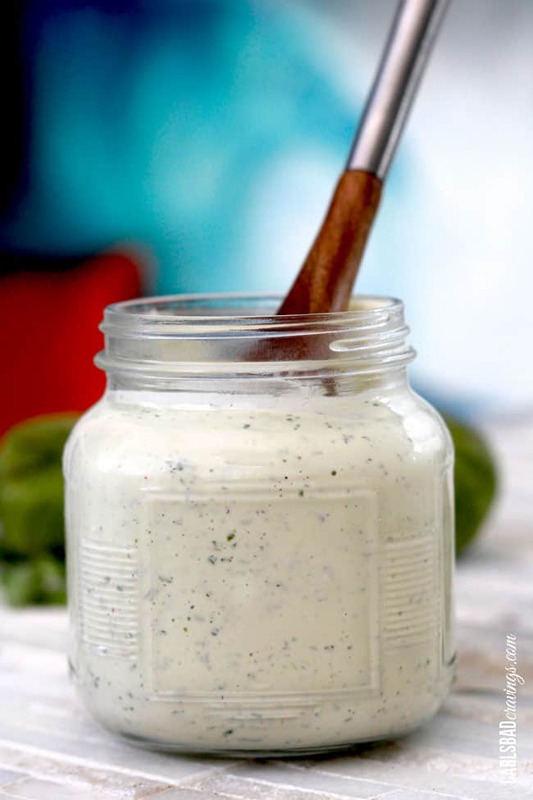 Want to try this Tomatillo Avocado Ranch Dressing Recipe? 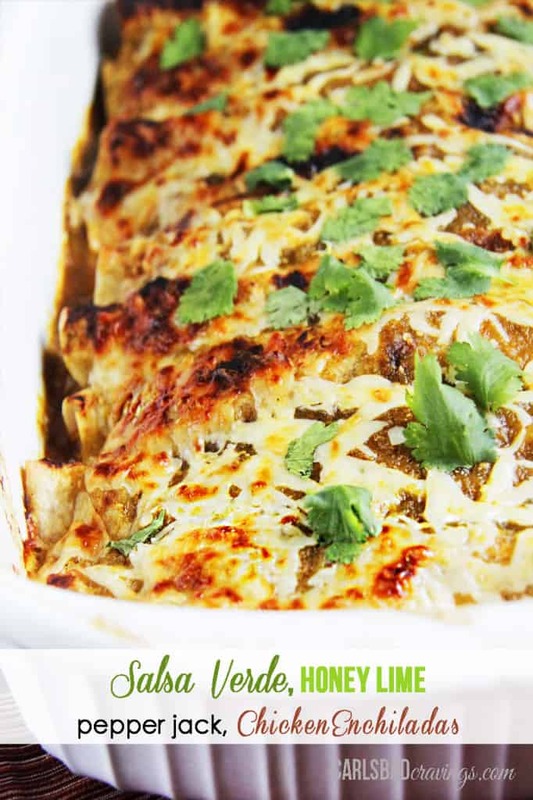 Pin it to your MEXICAN or DRESSING board to SAVE for later! This looks amazing! Ani deal what might be a good diary free sub for the sour cream? Hi Cassie! 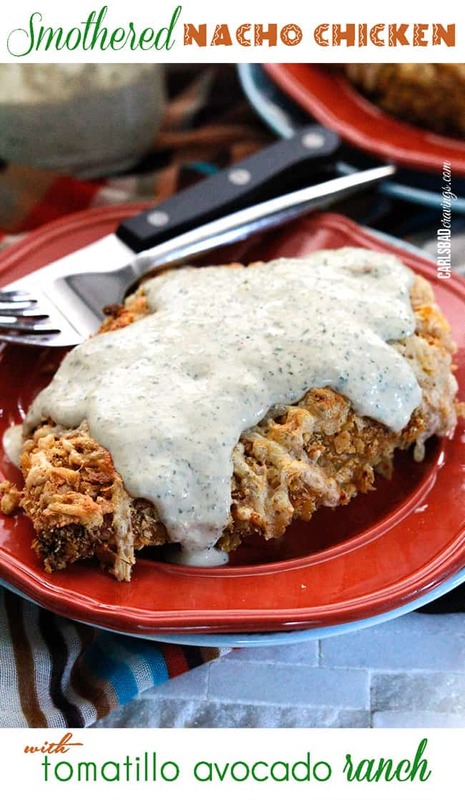 I would try replacing the 1/2 cup sour cream with 1/4 cup mayonnaise (so you would have a total of 3/4 cup mayonnaise) and thinning out with soy milk as needed. Hope this helps! Holy Moly! Made this today to go with the Chipotle Sweet Pulled Pork that’s in my crockpot right now. You are right, it is out of this world! I had some on my scrambled eggs because I couldn’t wait to try it out. SO. GOOD. My sister recently told me about your site because we both love to cook and we grew up in Carlsbad. I live in San Marcos now. I had to laugh when I read your description of Philly Frank’s. My husband is from Philadelphia, so of course we had to go. It’s awesome, but the atmosphere is definitely…interesting. Anyway, I’m so glad my sister told me about your site! I just love it! There are so many recipes I can’t wait to try. Hi Megan! What a small world! I was in San Marcos yesterday 🙂 My sister-in-law lives right by Discovery Hills lake so we go walking there regularly. 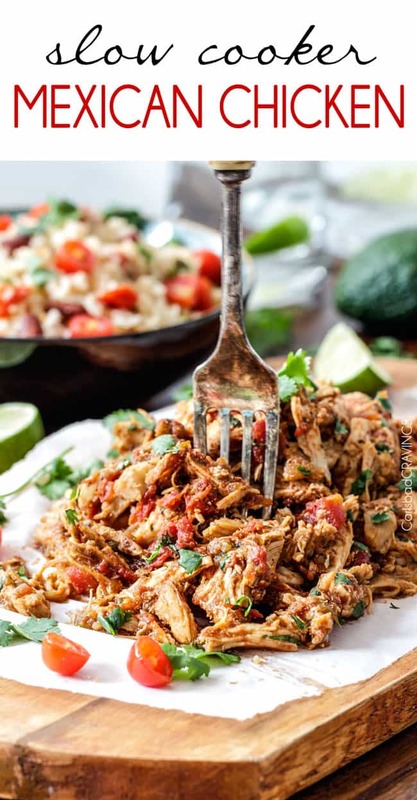 I am so happy your sister introduced you to my site and that you are already trying my recipes and more importantly think the dressing is out of this world – that means you have great taste 🙂 or at least we have the same taste which I think is great 🙂 I hope you have lots of fun exploring my site and trying recipes. Thanks for dropping a note – I look forward to hearing from you again! This is exactly what I have been looking for! 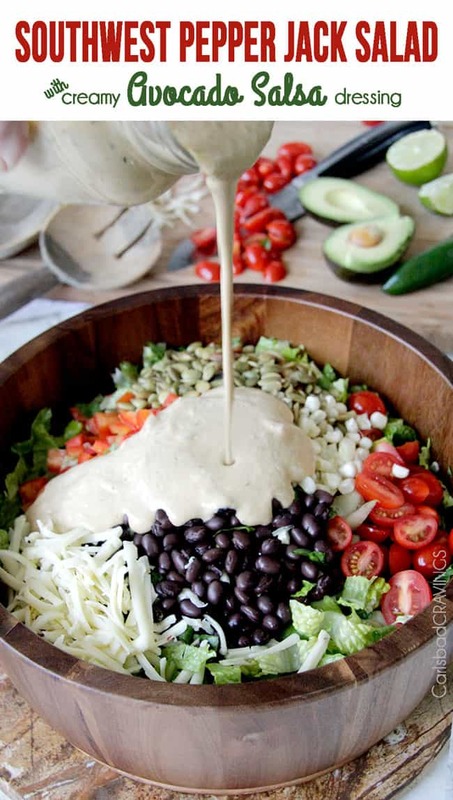 A flavourful and somewhat healthy dressing to dip my veggies in. Can’t wait to make this! yay, I think you will love it! It is intoxicatingly delicious! ENjoy! Mine turned out fabulous! My daughter loved it. I did replace a few ingredients. Instead of sour cream I used greek yogurt and instead of milk I used unsweetened almond milk and I used fresh green onions. I will be making this again!! I love hearing that this dressing turned out fabulous and that you were able to use delicious substitutions! Thank you!!! Thank you for this awesome recipe, Jen. Made it today and the kids practically licked their plates clean. Yum! Yay! That is awesome Lori! It is so nice to find a recipe that the kids love so much! I’m obviously late to this party, but after having this recipe bookmarked forever, I finally made it today and WOW it is amazing! The best sauce I have ever tasted. Thank you for the amazing recipe! Welcome to the party Christina 🙂 But seriously thank you so much for your awesome comment – I am thrilled this is the “best sauce” you’ve ever tasted! Now you’re going to want to put it on everything!! THIS is the most delicious dressing ever! I make this and add it to meals I take to friends/family. It is the most requested food after I give it away. Thank you for this awesome recipe!!! I LOVE your comment, thank you so much Tanya! I am obsessed with this dressing so I’m excited when someone else loves it as much as I do! how long does it last in the fridge!? Thanks! Hi Amanda, due to the avocado, it naturally change color slightly so it is best within 1-2 days. Enjoy! Oh My Gosh this dressing is sooo good. Another home run! Thank you Shannon! I’m so happy you loved it! I haven’t made this dressing yet but there’s no way I’m not going to. However I live alone. How long will it keep in fridge? Hi Cynthia, sorry for the delay as I was out of town on a cruise and without internet! Due to the avocado in the dressing, it will only keep for a couple days. Sorry!